Thank goodness for Lush in Liverpool Street Station. 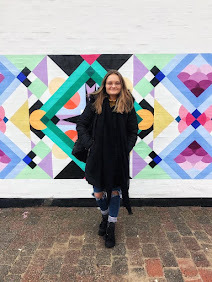 I'm an early bird, and always have been, so when I travelled to London to see the uni girls, I had a bit of time to spare. After getting off my train, I charged through the crowds of people with a mission. That mission was Lush. I knew that they were going to be changing things around a little, so when I spied to the new Rose Jam bath bomb, I knew I had to have it. I never actually tried the previous one, although I have had the shower gel, and it smelt amazing. 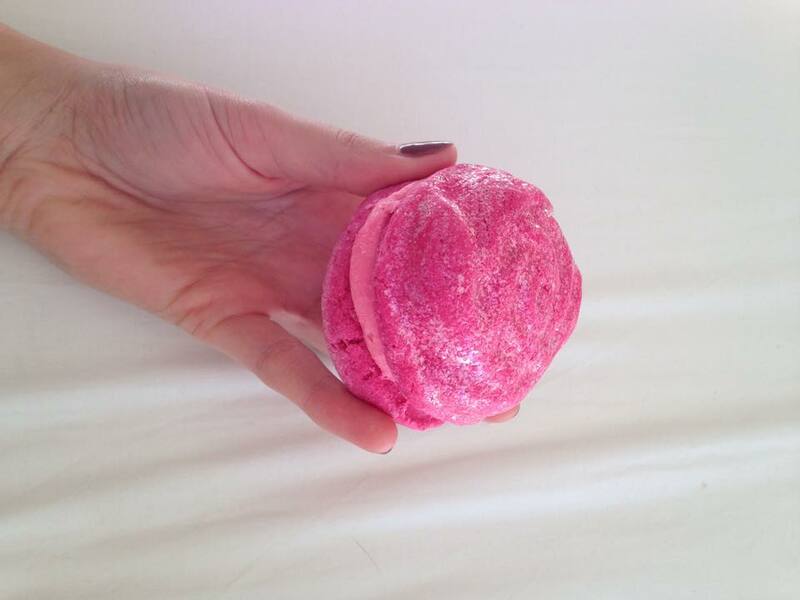 Rose Jam smells deliciously sweet, and is perfect for a relaxing evening bath. The smell isn't too overpowering, more of a subtly sweet one which is just divine. I usually use half a bath bomb at a time to make them last longer, but this time I used a whole one because I'm a working girl now! It was gorgeous. 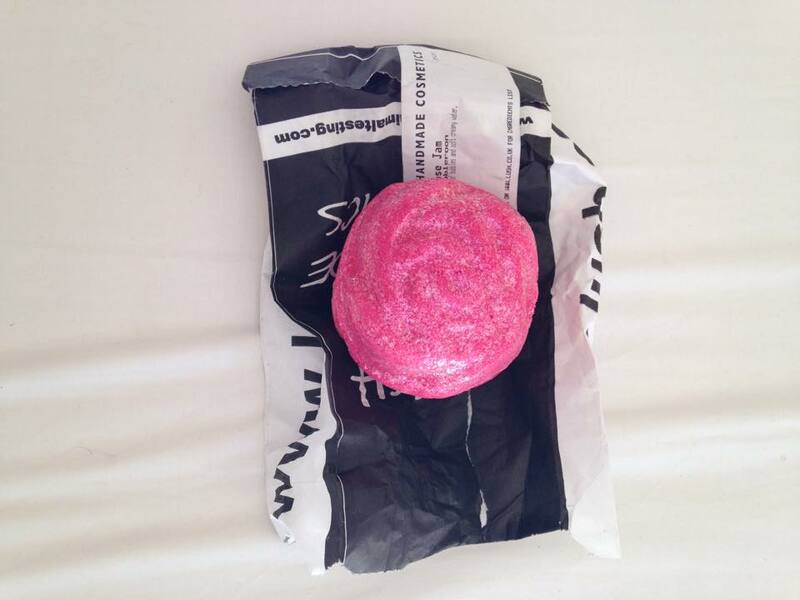 My bath was bright pink, it smelt incredible, and the actual formula of it made my skin feel so smooth and well moisturized, which I loved. I would definitely rebuy this bath bomb! I loved how it was called a bubbleroon too because it was shaped so similarly to a macaroon! Have you tried the new rose jam? What did you think? I love lush bath bombs but haven't tried this one yet, think it will be next on my list as it sounds gorgeous.